In this post I will share recipe of perfect natural deep conditioner for long shiny hair. 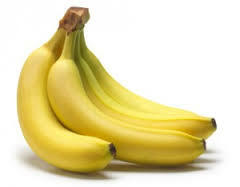 Banana hair mask is perfect to moisturize and condition hair dull/frizzy hair. This hair mask/conditioner can be prepared easily at home, all the required ingredients are easily available. Home made masks are free from dangerous chemicals, that is why have no side effects. Bananas are full of nutrients, potassium, vitamin A, E, B 6, zinc, iron and water that moisturize, maintains elasticity, repair damage hair and are perfect for overall hair care.Coconut milk and coconut oil contain fats and proteins that accelerate hair growth but also nourish hair. Rosemary oil used in this conditioner not only suppress the unpleasant smell but also nourishing for scalp skin. Add all the above mentioned ingredients in a blender. Apply and massage this mixture in your scalp and cover the hair fully.